Veteran journalist and author Joseph C. Goulden offers a good review of Catherine Merridale's Lenin On the Train and Sean McMeekin's The Russian Revolution: A New History for the Washington Times. In the spring of 1917, the German spy service sensed a sure-fire means of persuading Russia to make a separate peace and exit the Great War. 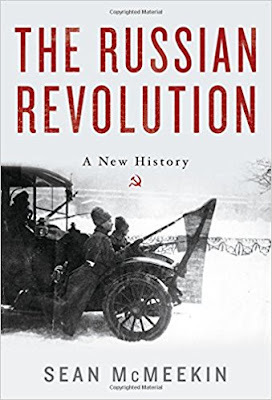 Czar Nicholas II had abdicated in the face of mass protests that swept the streets of Petrograd, the then-capital, and signs of war-weariness were increasingly evident. German eyes fell upon Vladimir Lenin, an aspiring Communist leader in exile for decades. He was considered to be a man of extraordinary ruthlessness — a “one-man demolition crew” who would wreck Russia’s war effort, in contrast with the moderates then in the vanguard of revolution. But Lenin was in exile in Switzerland, and the only feasible route back to Russia was through Germany and territories which it controlled. Lenin was so desperate to return that he considered posing as a deaf-mute Swede (until his wife reminded him of his habit of talking in his sleep — in Russian). But the spy chiefs found a solution: Lenin and selected followers would transit Germany in a sealed train that would be declared “an extraterritorial entity.” Once in Finland, smugglers would take them across to Petrograd. 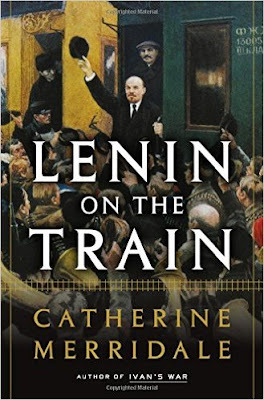 The remarkable story of Lenin’s odyssey — and the bloody chaos he would inflict on the world — are told in striking works by Catherine Merridale, a noted historian on the human consequences of the Soviet era, and the academic Sean McMeekin. 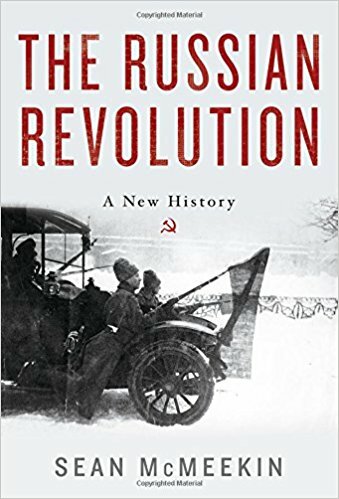 They offer a richly documented look at the Russian Revolution, now marking its centennial year. … Further, Lenin’s pockets sagged with German gold. He spent millions of dollars on propaganda aimed at convincing Russian troops to stop fighting. (The energetic Mr. McMeekin unearthed long-hidden files on secret German financing that escaped destruction). London’s spies spent their own fortune on propaganda; intelligence buffs should enjoy accounts of this covert warfare. In short order, Lenin added a new ingredient to what had begun, more or less, as a grass-roots revolution. His contribution was terror — directed first at the relatively moderate leadership he replaced but rapidly expanded to include anyone who objected to his harshness. Lenin opted for terror to cleave away opponents — and he continued that course long after the government he established was on a secure footing. (The secret police organization that morphed into the KGB was his creation.) Further, his determination to overthrow western democracies put the Soviet Union at odds with much of the world through the end of the Cold War.